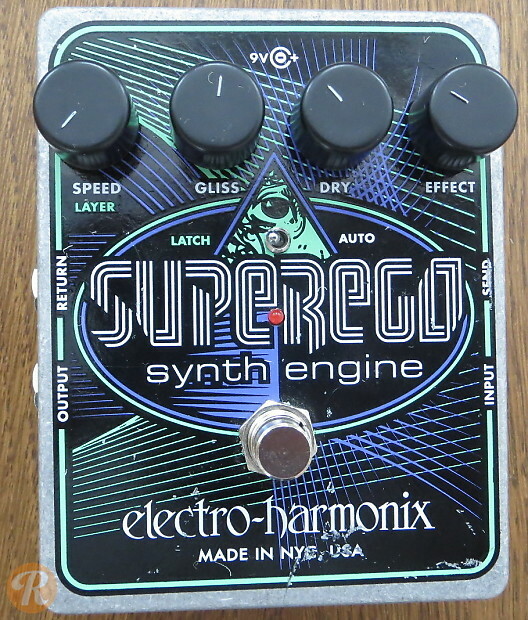 The Electro-Harmonix Super Ego builds upon the EHX Freeze. It will hold and sustain a note or chord, as well as auto-track and change notes in conjunction with your playing. The Super Ego has knobs for Speed, Gliss, Dry, and Effect.